A University of Mississippi student has been accepted into the prestigious Congressional Black Caucus Foundation summer internship program in Washington, D.C.
Jarrius Adams, a senior public policy leadership and political science major from Hattiesburg, will be in the CBCF Congressional Internship Program from May 29 to Aug. 15. The rigorous program includes a full-time work week, educational seminars, individual and team building projects, and several social and networking events. Participants become part of a corps of trained, young leaders with the skills, outlook and contacts to work for positive change in Washington and their local communities. Interns serve in Congressional offices, federal agencies and nonprofit organizations. Adams’ selection came as no surprise to Phillips, who noted that he is also participating in the Division of Outreach’s Washington Internship Experience. “The CBC Internship program is extremely competitive, but I was always confident that he exceeded the program’s qualifications,” said Phillips, who met Adams in May 2017 as a Study USA participant. “I foresee Jarrius being an incredible asset to the state of Mississippi, as he is deeply passionate about moving his state forward, especially in areas of education and policy. Shawnboda Mead, director of the university’s Center for Inclusion and Cross Cultural Engagement, also applauded Adams’ selection. 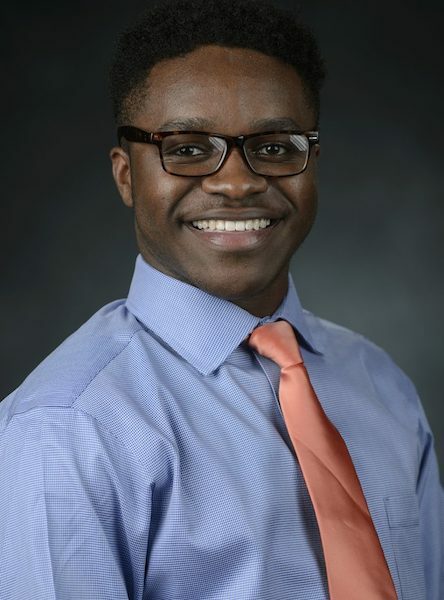 “Jarrius is an exceptional student leader who also cares deeply about social and political issues,” said Mead, who has known Adams since he attended the MPOWER conference before beginning his freshman year in 2015. Mead and Adams also have worked closely through his involvements with the center’s iTeam, a peer diversity educator program. Adams has been assigned to the office of U.S. Rep. Bennie Thompson (D-Miss.). His administrative duties may include answering phones, opening/dating/coding/logging and distributing mail, running errands, purchasing supplies, escorting constituents on Capitol tours or to the House/Senate visitor’s gallery, pulling newspaper clips, copying material, filing co-sponsorships of bills and delivering notices to other offices. Among his legislative duties are answering mail, researching issues, tracking down reference material, gathering information on pending bills, developing special legislative projects or initiatives, attending hearings/meetings, following up on correspondence from other congressmen, checking facts and figures for speechs, ordering documents and preparing congressional records. Adams said he is anticipating a thoroughly enjoyable internship experience. A member of the Columns Society and president of the UM Gospel Choir, Adams is also an assistant speech and debate coach at Oxford High School. His other community involvements include serving as a member of the Lafayette-Oxford Democratic Executive Committee and the League of Women Voters, and as a Boys and Girls Club volunteer. Adams said he is already looking beyond receiving his degree next spring.